The people who work at Nelson & Nelson Wealth Management not only have the knowledge and experience to help you pursue your financial goals, but they also happen to be extremely great folks, too! Our staff is always ready to address your concerns, answer your questions, and put you at ease. Lance E. Nelson, ChFC®, has worked extensively in the field of private wealth management since he began his career in 1988. Lance has earned the reputation as a trusted advisor by providing excellent independent advice and the personal attention that one would expect from a premier financial services firm. Nelson & Nelson Wealth Management has teamed with Commonwealth Financial Network, one of the nation’s leading independent broker/dealers, to offer cutting edge resources, a dedicated research team and an exceptional customer experience for his clients. Lance is a Registered Principal and holds FINRA 7, 24, 31, and 63 securities registrations with Commonwealth. In addition, he holds California Insurance License #0770599 and a variable annuity contract license, both through the California Department of Insurance. Lance is a Chartered Financial Consultant (ChFC®) and holds a BA in Business Administration from Colorado Mesa University. The mission at Nelson & Nelson is To provide financial leadership and guidance which responds to clients’ needs through developing distinctive and empowering relationships. Lance cultivates relationships based on trust and long-term perspective. He considers himself a personal Chief Financial Officer (CFO) for his clients. His goal is to assist his clients in focusing on essential financial considerations by developing and implementing sound financial strategies. As a personal CFO, Lance offers his specialized knowledge, experience and resources to identify important financial matters, review reliable options, and if required, assemble other experts to assist with implementing those strategies. Lance resides in Camarillo, California with his wife Abbie and their two daughters, Haley and Molly. He enjoys tennis, golf, skiing and traveling with his family. Lance Nelson is proud to have been recognized as a President's Club advisor for 2018—a distinction based on annual production attained by 13 percent of advisors affiliated with Commonwealth Financial Network. Abbie began her financial services career in 1988 with E.F. Hutton and has been with several major brokerage firms where she held a variety of positions in client services, operations, and compliance. Overseeing all aspects of our daily office operations, Abbie works closely with each team member to ensure that we provide the highest level of client service. She manages office operations and compliance. She holds FINRA Series 7 and 63 securities registrations. Abbie enjoys playing tennis, spending time with friends, and traveling with her husband, Lance, and their two daughters. Kathy is the newest member of our team, joining Nelson and Nelson in 2017. Kathy has held a variety of administrative and management positions, including the last eight years with a financial firm, where she focused on client service, operations and compliance. 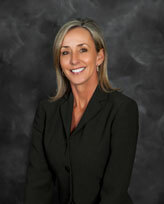 Kathy enjoys getting to know our clients and their needs, problem solving and enhancing the client relationship. Kathy has a strong commitment to providing a high level of client service. Kathy enjoys time spent with her husband, children and friends. She also enjoys a good walk, a good puzzle, a good book and gardening!